This is how ‘yahapalana’ government treats Udayanga. Udayanga Weeratunga, former Ambassador of Sri Lanka to Russia during Mahinda Rajapaksa regime, who is accused of illegal arms deals, MIG racket and murder, has been given a passport replacing the diplomatic passport he had. This was revealed in Parliament today (8th) when Minister S.B. Navinna responded to a question raised by JVP Parliamentarian Dr. Nalinda Jayatissa. Udayanga Weeratunga’s wife too has been given a passport from the government. The Commission to Investigate allegations of Bribery or Corruption has filed a case against Former Minister of Sports during Rajapaksa regime Mahindananda Aluthgamage in Chief Magistrate’s Court in Colombo. The charge filed against him is that sports equipment bought at a cost of Rs.5.3 million for selected schools and sports associations were not distributed among them but were used for political campaigns. The store keeper of the Department of Sports Development at the time Nishantha Gunasekera too has been named as an accused in the case for not taking measure to store the goods in Sports Ministry stores. The two of them were noticed to be present in Court on the 27th. Negombo Magistrates Court today (8th) ordered to put off till 2nd February, 2017 the case against Parliamentarian of the Mahinda faction of the UPFA Wimal Weerawansa who is being charged for attempting to go abroad with an outdated diplomatic passport. The court put off the case taking into consideration CID’s explanation that time was needed to get computer evidence regarding the incident. When Immigration and Emigration officials arrested Wimal Weerawansa attempting to go abroad with an outdated diplomatic passport he had contacted Prime Minister Ranil Wickremesinghe for help and got himself released. Former Parliamentarian Duminda Silva and four others were given death sentence by Colombo High Court a few moments ago for murdering four individuals including former parliamentarian and adviser to former President Mahinda Rajapaksa on trade union affairs Bharatha Lakshman Premachandraon 8th October, 2011 at Kolonnawa. The High Court Bench comprising Justices Shiran Gunaratne (Chairman), Padmini Ranawaka and M. C. B. S. Moraias delivered the judgement. Four state institutions would be amalgamated with the private sector said Prime Minister Ranil Wickremesinghe in Parliament yesterday (7th). He further said the government had decided to have Srilankan Airlines, Lanka Hospitals Ltd., Hilton Hotel and Hyatt Regency up for investment collaboration. The Prime Minister said this responding to a question posed by JVP Parliamentarian Dr. Nalinda Jayatissa. 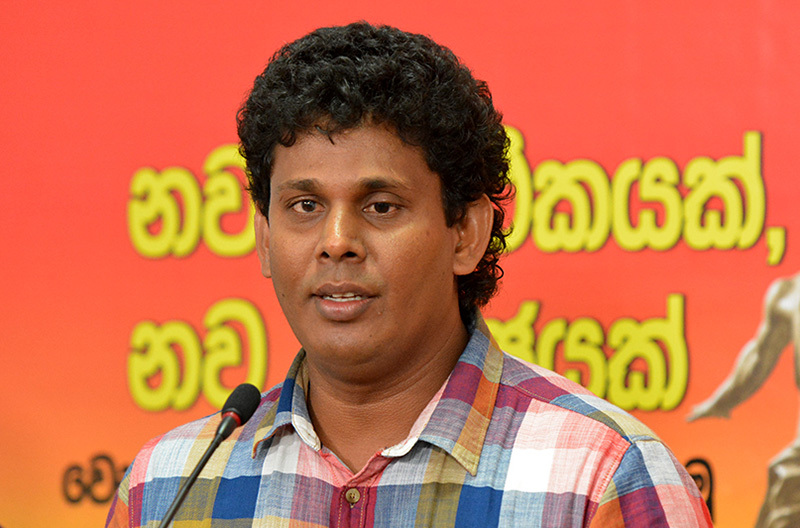 The JVP Leader Anura Dissanayaka said in Parliament today (8th) that the government carries out its agenda of privatization of state institutions on the pretext of re-structuring. 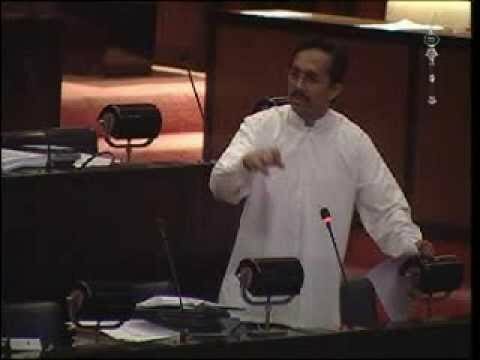 The report with details of the controversial bond issue that occurred during former Governor Arjun Mahendran’s term will be presented in Parliament before 13th October says the chairman of the Committee on Public Enterprises (COPE) JVP Political Bureau Member Sunil Handunneththi said in Parliament yesterday (7th). Mr, Handunneththi said COPE would not be bowed by any force or interference and a full report on the bond scam would be presented to parliament. He said once the report is presented it is the Parliament that has the authority to take future action regarding it. Mr. Sunil Handenneththi said this in response to a question asked by UPFA Parliamentarian Bandula Gunawardene. Parliamentarian Bandula Gunawardene said the report presented by the COPE did not have any details about the bond issue. However, the Chairman of COPE Sunil Handunneththi said the report that had been already presented too have details about the bond scam and added that Parliamentarian Bandula Gunawardene had made a vicious statement. He said there was no sinister move to sweep the issue under the carpet; COPE was working according to a road map with regard to the Bond issue, and the details of it will be included in the next report which will come out before 13th October. It is unsuitable to punish anyone else in the country without punishing the thieves connected with Central Bank bond scam says the convener of Voice Against Corruption (VAC) JVP Central Committee Member Wasantha Samarasinghe adding that Prime Minister Ranil Wickremesinghe, Minister of Finance Ravi Karunanayaka and the UNP are behind the scam. Speaking at a seminar held at National Library Auditorium in Colombo Mr. Samarasinghe said the government has not taken any action regarding the officials accused of the scam, the loss to the country due to the fraud and the harm to the system. He said the new Governor Indrajith Kumaraswamy has been informed in writing to look into the matter and take necessary measures. The convener of VAC said it is unsuitable to punish anyone else in the country without punishing the thieves connected with Central Bank bond scam and added that Prime Minister Ranil Wickremesinghe, Minister of Finance Ravi Karunanayaka and the UNP are behind the scam. Mr. Samarasinghe said legal action should be taken against the Deputy Governor P. Samarasiri who has given evidence rejecting the accusations regarding the scam and added that those who have come to power to catch thieves have joined the thieves and are carrying out the plundering in broad day light. After considering a request made by the CID from Mt. 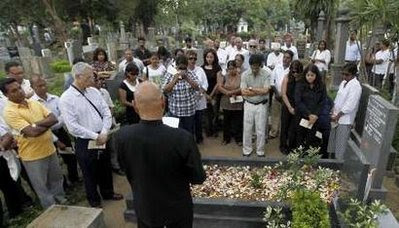 Lavinia Magistrates Court, Magistrate Mohammed Sahabdeen gave permission today (8th) to exhume the remains of former Editor of ‘Sunday Leader’ Lasantha Wickremetunga on the 27th and hold a postmortem on that day. It is stated that a board of JMOs have forwarded a report stating the postmortem examination carried out after the murder of Mr. Lasantha Wickremetunga had 21 suspicious points. Accordingly, the remains are to be exhumed on 27th September at 8.00 a.m. before Magistrate of Colombo Magistrate Court No 2. Police have been deployed to protect the place at the Borella Cemetery where the remains of Mr. Wickremetunga are buried. The state counsel told Court that investigations were being carried out regarding telephone calls taken from and received to President’s House on the day popular rugby player Wasim Thajudeen was murdered. There have been telephone calls from Presidential Secretariat and Temple Trees to Narahenpita Police OIC Damien Perera on the day Thajudeen was found dead. Investigations have revealed there had been an internal phone network between Presidential Secretariat and Carlton House in Hambanthota and investigation regarding this continues the state counsel had said. However, state counsel told Court during last session that all data in connection with telephone calls taken and received from Presidential Secretariat had been deleted. Also, the Court was informed that the laboratory report on the CCTV footage sent to Canada for investigations states the scenes are not clear and it is difficult to identify. The judgment of the case regarding the incident where four person including the former Parliamentarian and former President Mahinda Rajapaksa’s adviser on trade union affairs Bharatha Lakshman Premachandra were murdered at Kolonnawa on 8th October, 2011 is scheduled to be announced today (8th). The case is heard before a panel of judges that include Shiran Gunaratna (President), Padmini Ranawaka and A.C.B.N. Moraes. Former Parliamentarian Duminda Silva and 10 others are respondents.